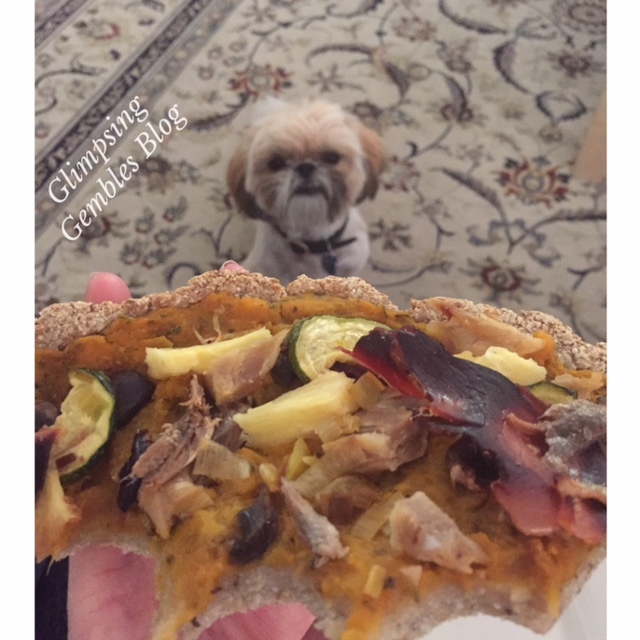 I absolutely love pizza, but since my diet has meant being grain free, it has become one of the foods I dream of and long for. 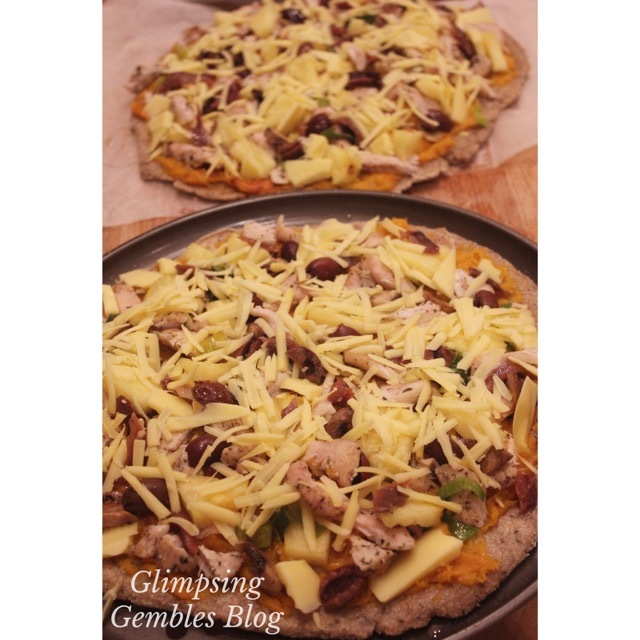 A few weeks ago, I was having a relaxing few days with my family, and I thought, ‘what the heck, I am going to use a gluten free base and make pizza!’ It was amazing. 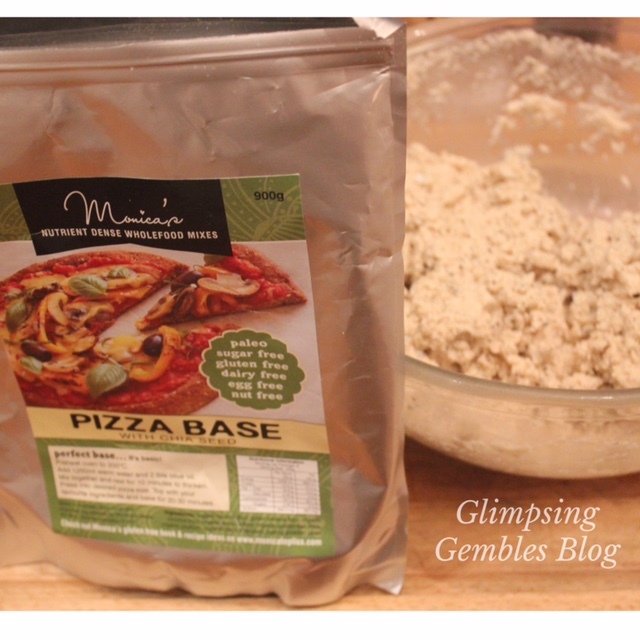 Then, just a couple of days later, I happened across a premixed pizza base with ingredients that were much better suited to my diet than the gluten free shop-made base! Exciting times! 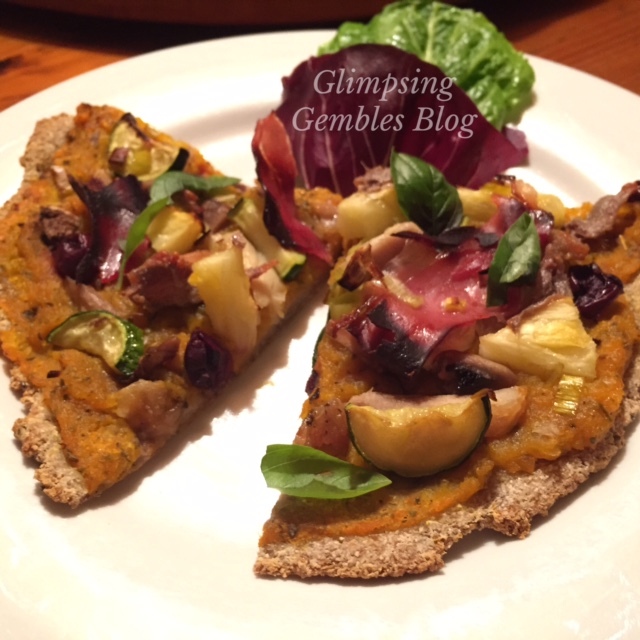 It is made by Monica Topliss Flourish Wholefoods. 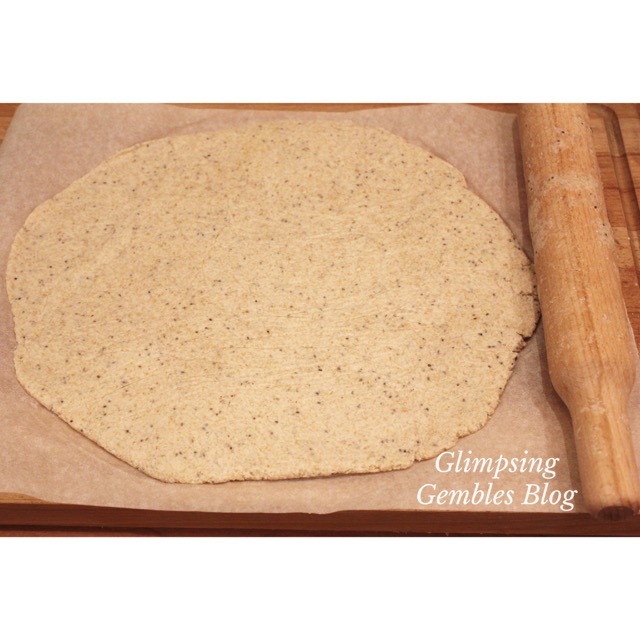 The pizza base consists of tapioca flour, flaxmeal, green banana flour, unhulled sesame flour, coconut flour, baking powder, yeast and chia seeds. These ingredients mean it is paleo, gluten free, vegan, dairy free, egg free and nut free. And yes, it tastes delicious! The texture is quite moist and ‘gluey’, but when you have gone without for so long, it makes for a blissful mouthful! Even my family, who don’t need to eat my diet, enjoy the base. I have found after a few trials that the base works better if you bake it in the oven, without topping, for 10-15 minutes, flip the base over, add the toppings and then bake for another 10-15 minutes. That way, the base is more evenly cooked through. To combat the nightshade free part of my diet (what is a pizza without a tomato sauce?! ), I have been slow roasting a pumpkin until it is so soft that it mashes easily. Then I have added salt, pepper and mixed herbs, and spread over the base. 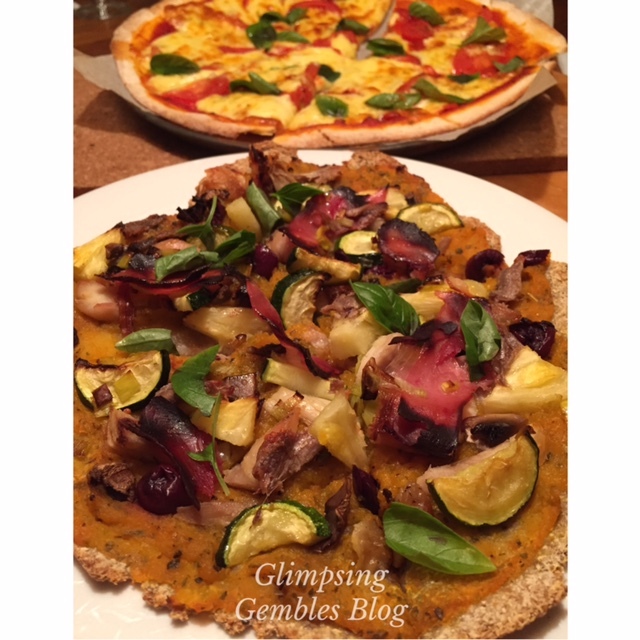 I can honestly say that I have not missed the tomato sauce – the pumpkin sauce is so tasty. 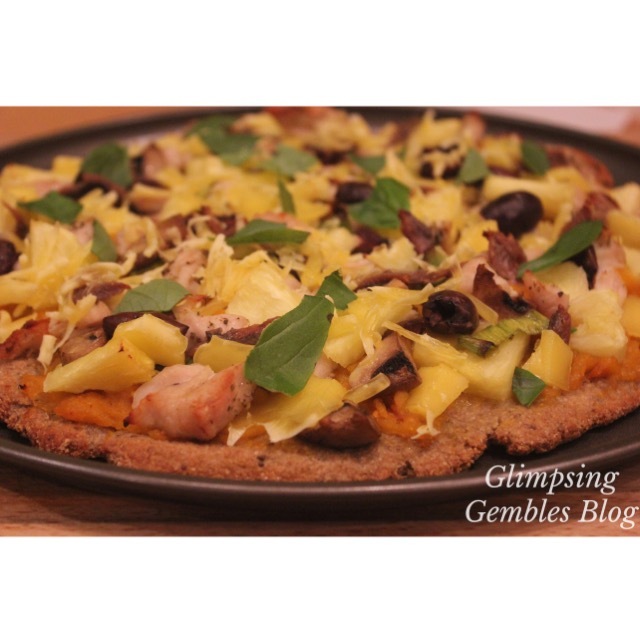 For my toppings, I have used cooked chicken with herbs, cooked bacon, chopped fresh pineapple, sliced black olives, tinned anchovies, cooked/uncooked mushrooms, and fried leeks. When the pizza is cooked, I have added torn, fresh basil leaves. You can obviously add whatever ingredients that you can tolerate and love. That is the fun of pizza! This week, I made the exciting discovery of a dairy free cheese that almost completely fits into my diet (there is a little sneaky potato and corn starch, but for the odd treat, I will let that pass!). 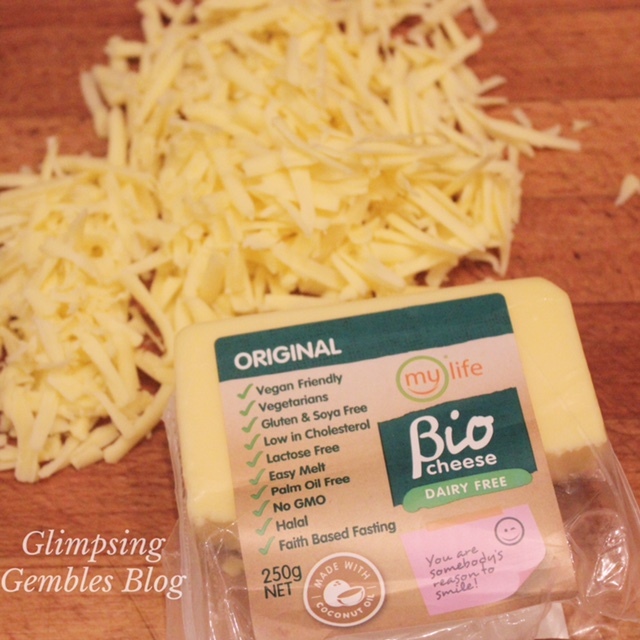 It is called Bio cheese by My Life, and is sold in Coles. Its main ingredient is coconut oil, and it is delicious and tastes like mozzarella (actually, I think it tastes better!). I put it on my pizza this week, but I have to say, I did not really enjoy it cooked, unfortunately. Melted cheese is probably my most missed item of food (oh give me a lasagne and a toasted cheese sandwich, please! ), but this ‘cheese’ did not quite agree with my taste buds, though uncooked, it is delicious! Every time I think that I have found all the foods that I can eat, someone comes up with another product that fits my restrictions. 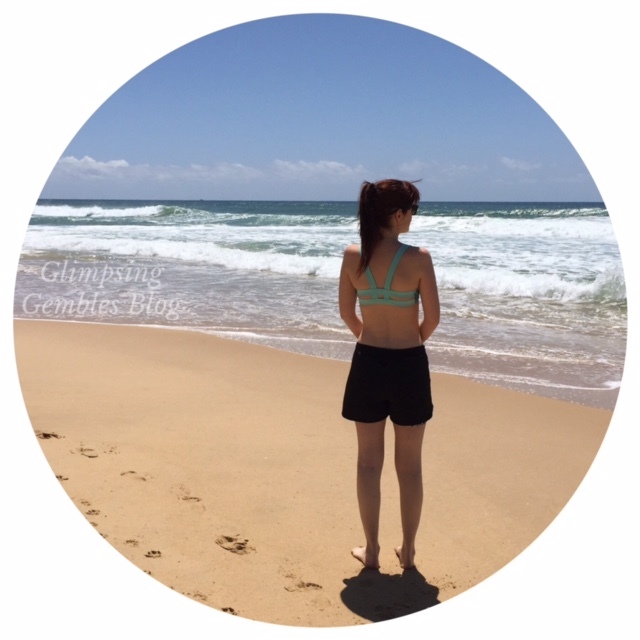 Some are disappointing, and some are highly exciting! In this era of food experimentation with the emphasis on healthy foods, I am sure more and more products will keep popping up. 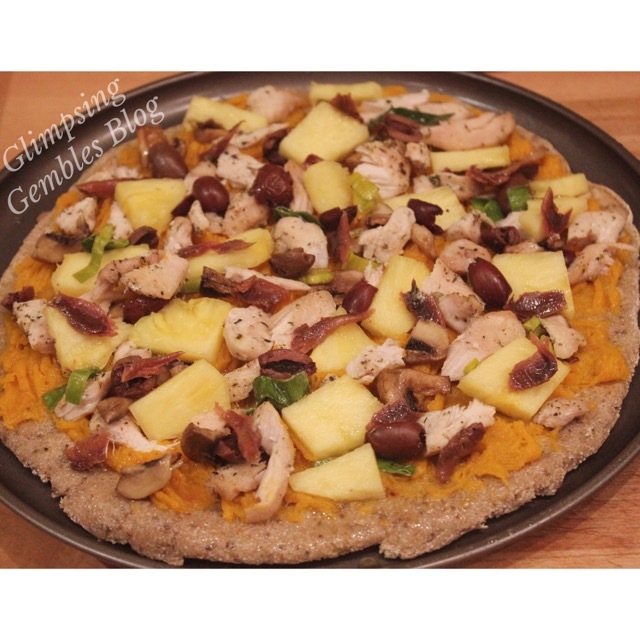 I hope this pizza ‘recipe’ gives you some ideas if you are similarly limited with your diet, or are looking for healthy options. Let me know if you recreate it! Buon Appetito!! !